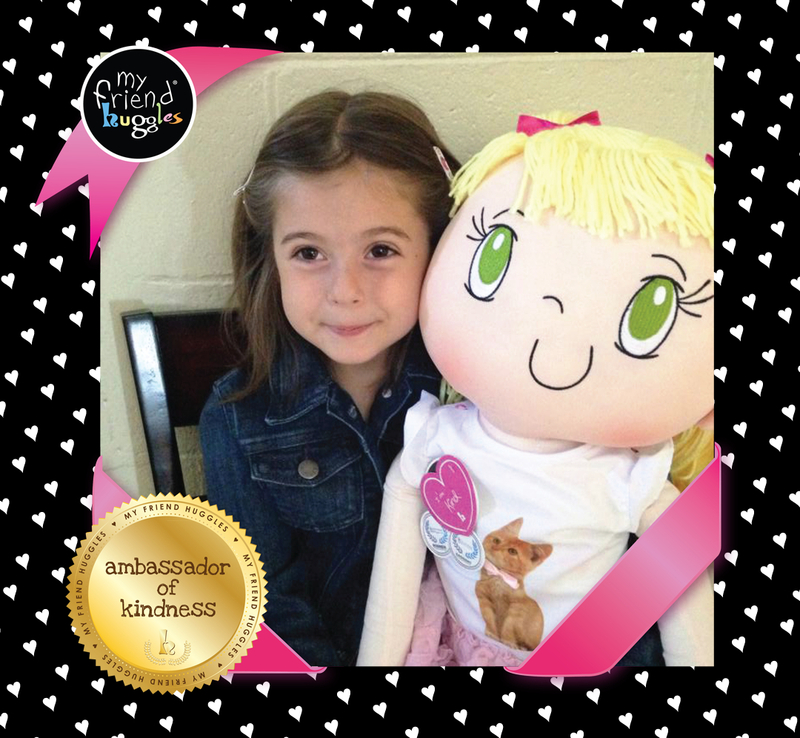 Ambassador of Kindness – Contest Winner! Congratulations to Kyra from Halifax, Nova Scotia! After having brain surgery she woke up and wanted to start coloring. She colored pages to give to other kids in the hospital to make them happy because everyone should smile. Being an Ambassador of Kindness is showing other people you care, and making them feel special. Kindness month is over, but the Kindness Movement is just beginning. Keep your stories coming, and Huggle it forward! Check out our facebook page to see how you could be a My Friend Huggles Ambassador too!